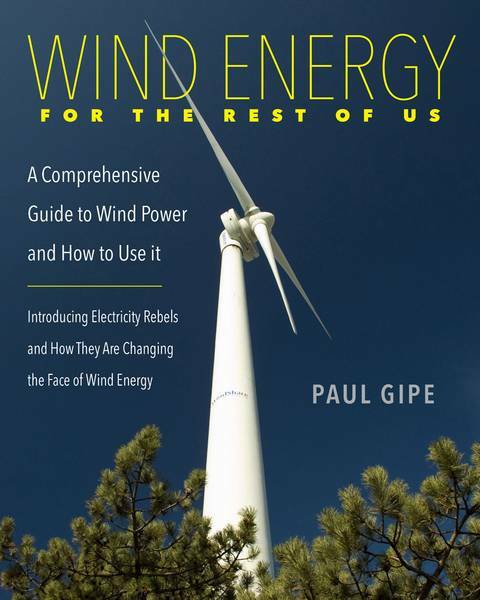 Wind Energy for the Rest of Us, Paul Gipe’s new book on wind energy is finally hitting the streets. Complimentary copies of the 560-page tome are reaching the first group of colleagues and reviewers in Canada, the USA, and Europe. Copies have also reached Publisher’s Weekly and the Library of Congress. Additional complimentary copies will be shipped later in December. Copies should arrive sometime early in the new year.